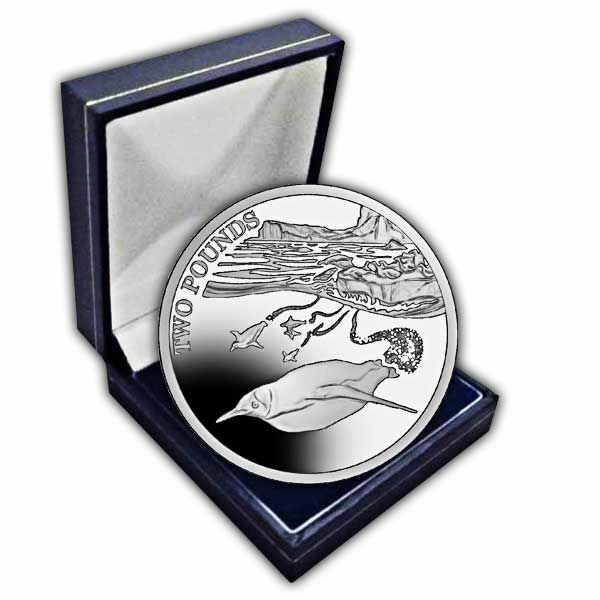 This unique two pound Uncirculated Cupro Nickel collector’s coin, struck alongside a Proof Sterling Silver coin and a 990 Blue Titanium coin, features The Emperor Penguin sliding into the ocean from an ice pack. The Emperor Penguin (Aptenodytes forsteri) is the tallest and heaviest of all living penguin species and is unique to the Antarctic territory. It is also the only animal to inhabit the open ice of Antarctica during the winter, trekking 50-120 kilometres over the ice to breeding colonies. The male and female are similar in plumage and size with black dorsal sides and head, a white belly, pale yellow breast and bright yellow ear patches. The female lays a single egg which is incubated by the male while the female returns to the sea to feed. 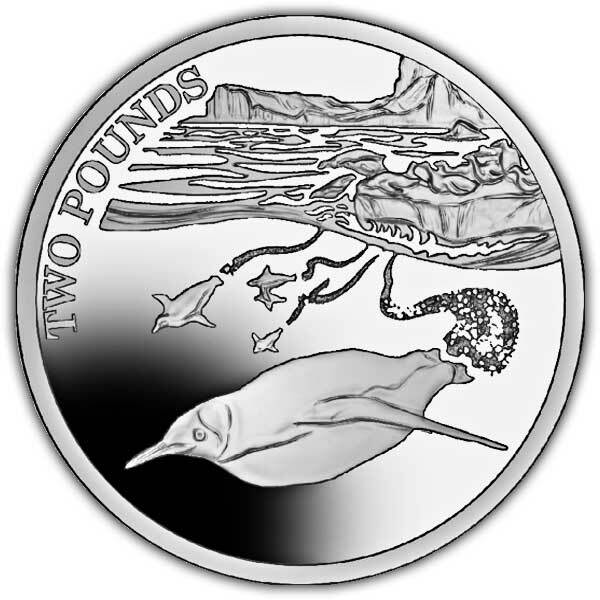 The design on the coin features a group of Emperor Penguins swimming in the Antarctic waters with other penguins sliding into the ocean from an ice pack. 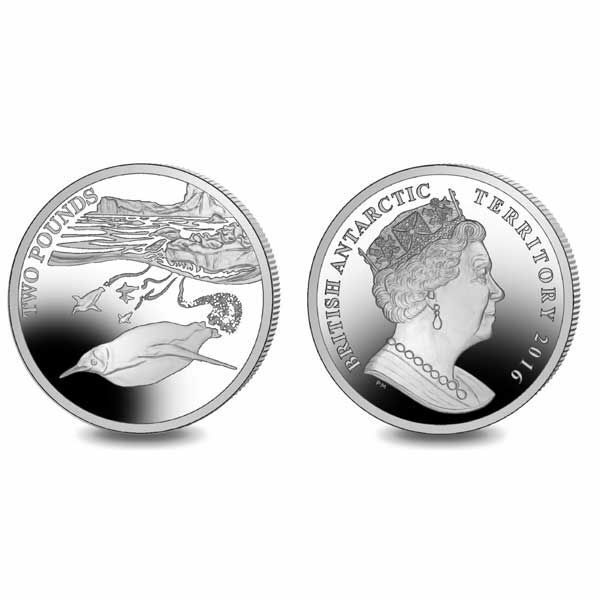 The obverse of the coin carries an effigy of Her Majesty Queen Elizabeth II exclusively by Pobjoy Mint.